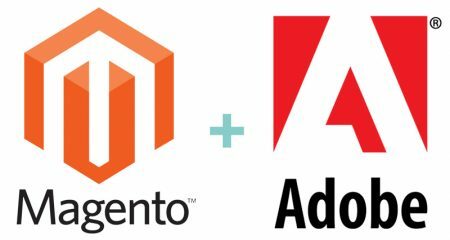 On June 19th, it became official: Magento is now an Adobe company. As a Magento partner for more than a decade, it’s been amazing to watch the company and platform grow, thrive, and enable merchants to build and transform their digital experiences. When thinking about Magento’s future – and that of eCommerce – it becomes clear that this is a highly strategic move for both Adobe and Magento, and one that will raise the bar for the industry by enabling more engaging and personalized digital experiences. The first aspect of the acquisition on everyone’s mind is how Magento will fit into Adobe’s technology stack – specifically The Experience Cloud. For years, Adobe has enabled businesses to create, manage and measure content to help optimize the customer experience. 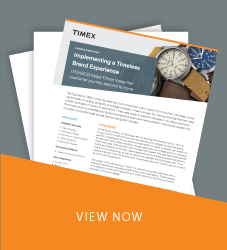 What it lacked, though, was a solution that addressed the transactional aspect of the customer experience: a commerce solution. With Magento, Adobe has now filled this void. From a market perspective, enterprise clients are increasingly opting to consolidate platforms and technologies. This desire to reduce systems, vendors, integrations, and complexity is causing a dramatic shift in the market: it can explain why SAP bought Hybris or why Salesforce acquired Demandware and CloudCraze. Adobe’s acquisition of Magento is another example of this migration to integrated digital solutions to deliver data-driven, unified experiences. Instead of requiring numerous integrations and customizations to plug into Adobe’s best-in-class content and analytics solutions, Magento will now offer clients a more robust set of commerce tools while reducing their system complexity. Another interesting aspect to consider is how Adobe will integrate this technology into Adobe Sensei, and how Adobe will marry commerce and AI going forward. We’ve seen a broad spectrum of reactions to this deal, and while there is still considerable work to be done for Adobe to optimize Magento and fully integrate it into its suite of solutions, we are extremely confident that this is a great move by both companies. Magento has had great success in the B2B space with its ability to get up and running quickly. This should prove to be a key selling point, as Adobe prides itself on the easy and fast deployment of its Experience Cloud. Adobe also has a long track record of successfully integrating acquisitions, optimizing functionality, and utilizing them to open new channels and solutions for clients. For example, look at Adobe’s purchases of Omniture (Adobe Analytics) in 2009, Day Software (Adobe Experience Manager) in 2010 and Neolane (Adobe Campaign) in 2013 to name a few. These businesses were rapidly brought under the Adobe umbrella, optimized, rebranded as Adobe Marketing Cloud and as Adobe’s new CMS, and thrust the brand headlong into different enterprise markets. Businesses already were using Adobe to create their content. These acquisitions gave them the ability to use Adobe to manage, deploy, and measure their content. Furthermore, Magento has made and will continue to make, smart and strategic moves that will position them for continued growth and success. After a shaky launch, they addressed issues and stabilized Magento 2, quickly rolled out B2B and Cloud features, embraced their robust developer community, and made smart acquisitions to bolster their solution set. This acquisition is another smart decision that positions Magento for future success. This announcement is huge news for any business using either Magento or Adobe platforms. While we’re extremely excited for what the Adobe + Magento future holds, we also acknowledge that it represents an upcoming change for our clients, and change can be a bit scary. It is more important than ever to have an experienced, accomplished partner that knows these technologies inside and out. At Capgemini and LYONSCG, we see this as a great opportunity for our business practices. Capgemini is one of the few tier-one digital solution providers with both an Adobe and Magento global practice. With the market looking for integration opportunities across these platforms, we are optimally positioned to provide a strong offering and help deliver these solutions to our clients. Over hundreds of projects, Capgemini and LYONSCG have helped clients drive value and scale their business. As the best positioned Adobe and Magento solutions provider in the world, we will continue to engage with our partners and our clients to realize their long-term visions. This is an exciting time to have these tools at our disposal to help and empower our clients to grow their business.